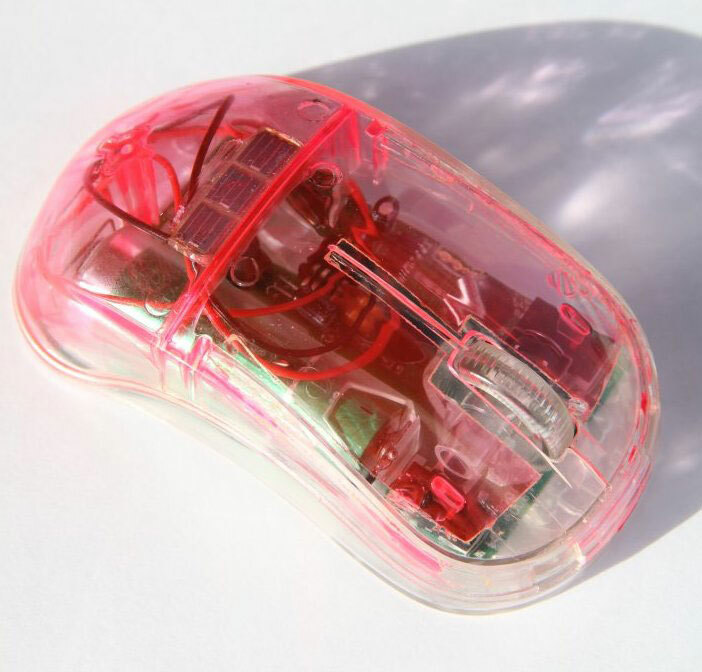 In any device body (here a cut through the body of a computer mouse from one side is shown), the solar cells can be attached at a convenient place inside the body. The light travels through the body till it hits an absorber or a non-reflective surface at a steep angle. In this example, a solar cell is attached at the highest point of the device. Solar cells serve as absorbers and convert the light into electricity. Open edges (e.g. plate ends, screws through the body, and glue contacts inside the body) can be mirror-coated to reflect the light instead of letting it leave the body at these points. The whole surface of the body serves as light harvester and the few solar cells convert the collected light into electricity. Partial shadow (for example a hand holding the device) just reduces the overall light gain. The solar cells see a mean light intensity. The body material has to be transparent: Organic glass (e.g. plexiglass, polycarbonate) work as well as mineral glasses. 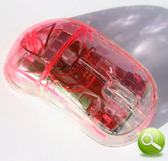 The color of the device body is defined through the choice of the Luminescence Centers. The Luminescence Centers can be incorporated in a transparent organic body material or can be coated on the same materials and also on mineral glasses. 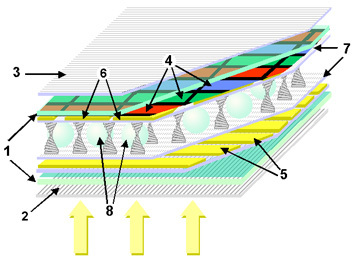 Extended version with integrated light energy conversion using ZeoFRET®. 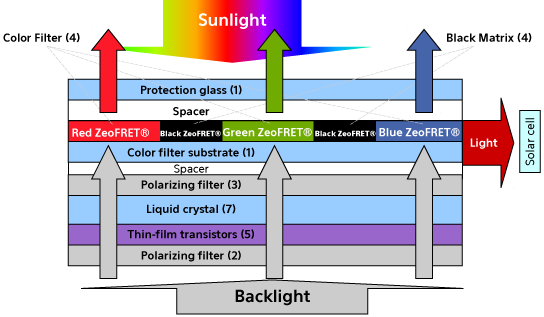 Replace the RGB color filters and black matrix by ZeoFRET®. 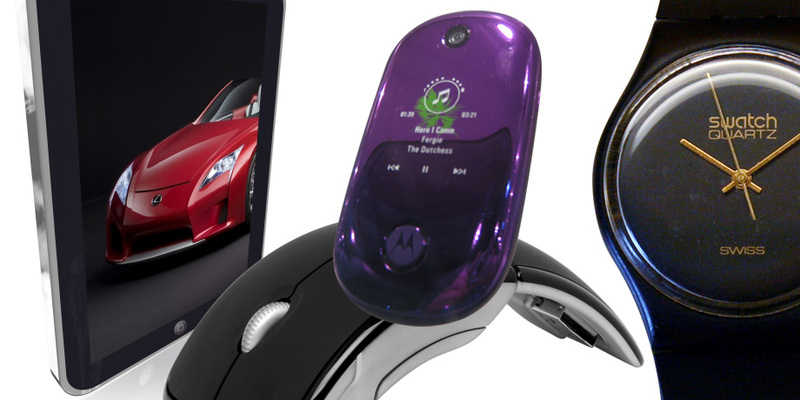 The layer then converts into RGB color filters with light harvesting capabilities. In addition to its color filtering, this layer becomes a luminescence concentrator. Solar cells attached at the edge of the filter plate convert the harvested light into electricity.